TN Kids - thank you for bringing your contagious energy and for once again, snapping such creative shots! It's hard to believe that there are only two shows left, but you still have a chance to be in the final crowds for #JT2020Tour at the MGM Grand Las Vegas. Don't miss it. We'll see you on stage in the new year - 2015 baby! The proposal! Start it at 2:10. The crowd at the Mohegan Sun brought it! Barclays Center was sold out and Jay Z came to perform "Holy Grail." Enough said. For more photos from the Brooklyn #JT2020Tour show, see full gallery HERE. This show was nuts! “That’s how we feelin’ it in Philly tonight?” said Justin. The fans were ready to party. The home state concert! Garth Brooks came to perform "Friends in Low Places" and after performing with his idol, Justin dropped to the floor. It was one for the books. 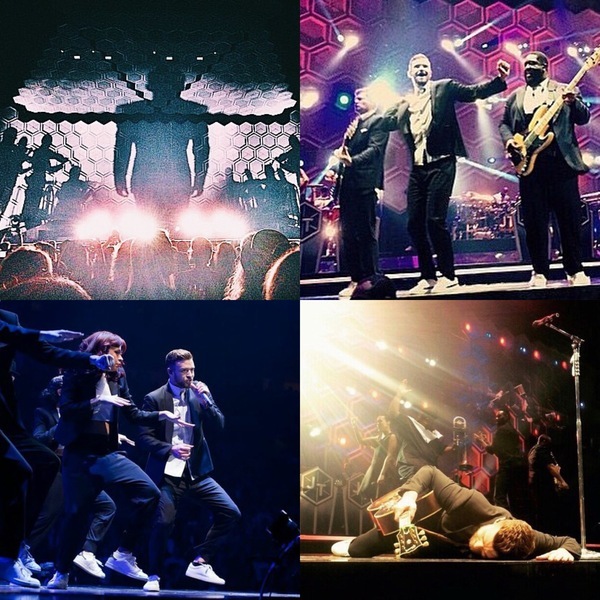 For more photos from the Nashville #JT2020Tour show, see full gallery HERE. It was the very last show of 2014. "It's our last show if the year. We've been on the road for two years, but this is our last show for 2014." The sold out Gwinnett Center delivered! Big time. What a way to close the year! Thanks for including my picture, such an honor!! The show was AMAZING, can't wait for the next show in the future!! The last 2 shows were amazing!!! Thank you for such a great tour! It's not good bye it's see ya next time!! Oh ya and thanks for using one of my pics!!! It's such an honor!!! Love you all!! !